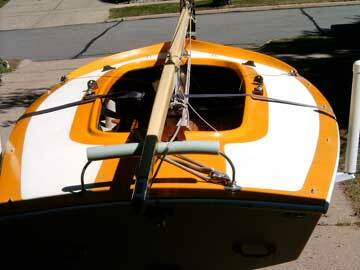 Draft, board down: 2' 7"
Johnson Boat Works or Melges designed and built the first Class X Boat in 1932. 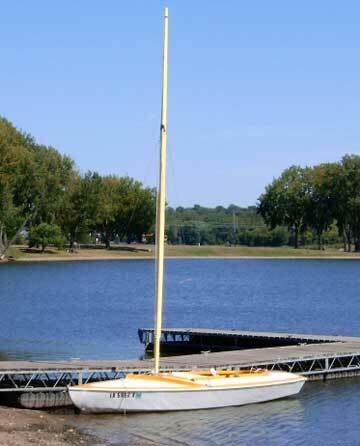 Popular in youth sailing programs, this 16-foot, hard chine, sloop-rigged, one-design is built with the youth sailor in mind. Sanctioned by the ILYA. Well established class in the midwest. 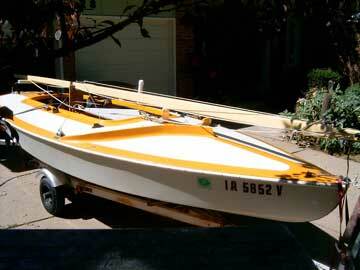 All nicely refurbished with freshly varnished floorboards and tiller. 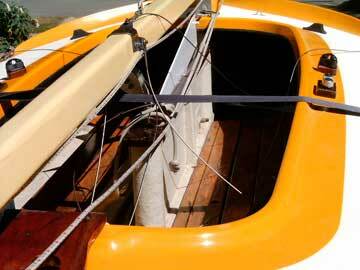 This boat is easy to sail alone as well as stepping the 19ft mast. Includes Dilly trailer with Bearing Buddies.